When WQAX paused operations in 1993, several people wrote memoria for The Ryder magazine. Over time, we shall collect them here. From time to time we come across or are sent photos and other digital ephemera of WQAX times. These are collected within this page. 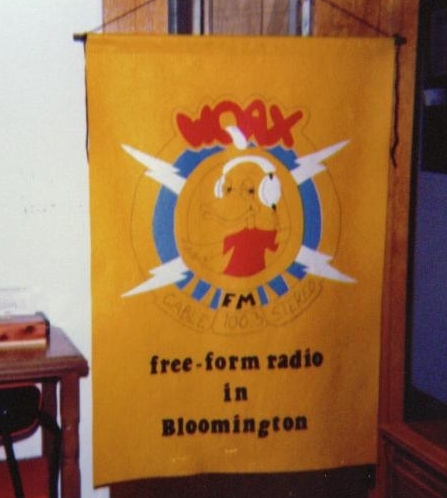 Hugh Heinsohn, WQAX member in the 1970s and QAX Pistols member sent along this photo of a circa-1979 banner based on the classic Roscoe Medlock logo design. My mother made this banner for the station and we used it at public events -- most notably at a series of street dances that we sponsored during the late 70's. Some idiot stole it from a street dance and Neil Sharrow later saw it at someone's house during a party or something like that -- someone who thought it was no big to steal it. Anyway, we never got it back. 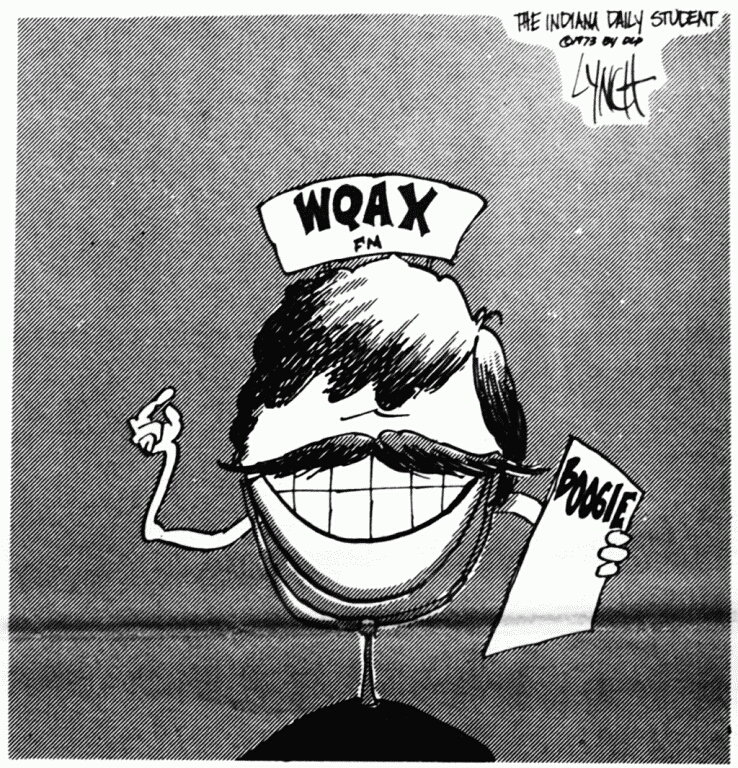 Hugh also sent along a WQAX Street Dance flyer from 1980 (or so! ), and also a Mike Lynch cartoon that ran in the IDS in 1974.